The great outdoors is calling — explore your favorite recreation area with your very own boat, motorcycle, ATV, or RV! 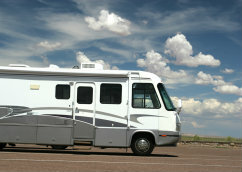 We can help, with affordable loans for recreational vehicles of all types. Whether you love fishing, off-roading, hunting, or camping, we can help you fuel your adventure with competitive rates, fast approvals, and local decisions. Talk to one of our experienced bankers today!